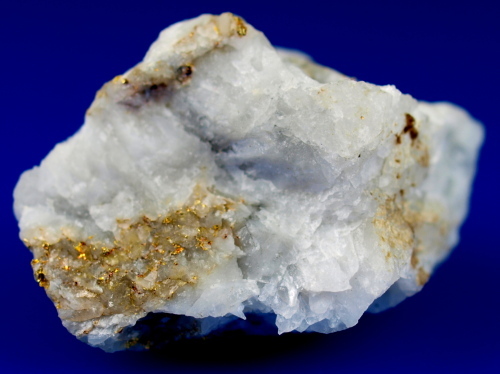 A pretty little gold in quartz specimen from Mariposa County, California. 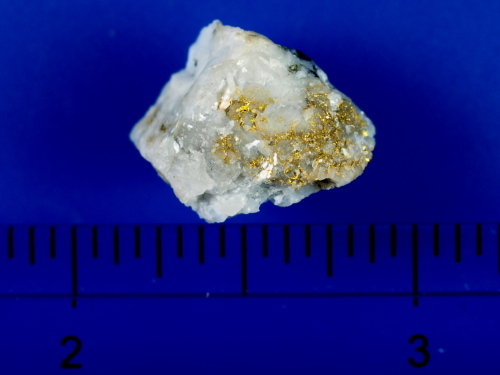 It has nice white quartz with small veins of gold scattered throughout. 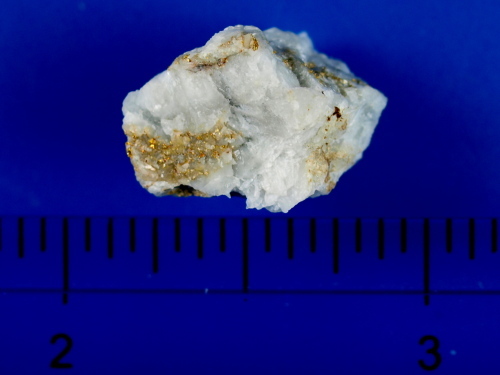 The total weight of the specimen is 3.08 grams.